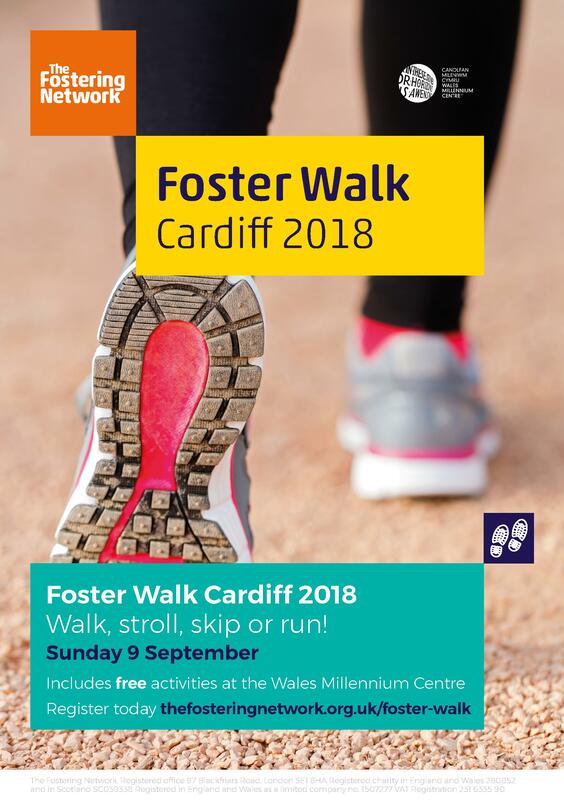 Wales Millennium Centre is supporting The Fostering Network’s ‘Foster Walk’ in Cardiff on Sunday the 9th of September 2018. The Centre will be the start and end point to the network’s flagship fundraising event, which aims to raise money to help The Fostering Network continue their work transforming the lives of fostered children. The 5k route will go from the Centre around Cardiff Bay up to the barrage and back towards the harbour. The walk will be led and marshalled by staff and volunteers from The Fostering Network and families will be encouraged to bring a picnic along to enjoy at the end of the 5k route or enjoy food at the Centre at Caffi or ffresh Bar. Participants are recommended to wear orange to show support for fostering and to add some colour and fun to the day. The Fostering Network are hoping for in the region of 50 families to attend. The Centre began working with The Fostering Network in 2016, welcoming foster families to ‘The Wondercrump World of Roald Dahl’ – an interactive experience centred around the works of one of Cardiff’s most renowned authors. The Centre is also working with The Fostering Network and others to develop further engagement opportunities in the future. As part of the Confidence in Care Programme, The Fostering Network worked with Wales Millennium Centre to provide 8 young people, aged between 11 and 15 with sessions that aimed to improve confidence, self-achievement and trust and enabled the young people involved to forge new friendships and engage siblings and families in the process. The sessions took place every Sunday for 10 weeks and were designed to help the young people develop life skills through the medium of performing arts, to provide opportunities to explore productions and experience different artistic work. The programme was a huge success and feedback was incredibly positive. Talks have already begun around running three more pilots across Wales. The Fostering Network is an important partner for the Centre in relation to its creative learning strategy and ambition to be more useful to the most vulnerable young people in Wales.